A dark city steeped in blood and madness opens like a wound before you. As a new Hunter in the cursed bounds of Yharnam, unravel the strange secrets plaguing the town and dispel the hungry beats that fester within. Bloodborne is out this week on PS4. Steel yourself. Developed by the legendary team at From Software in partnership with Japan Studio, Bloodborne is built to inspire and challenge you like never before. Explore the city of Yharnam, survive vengeful abominations, and learn a robust combat system that rewards skill above all else. 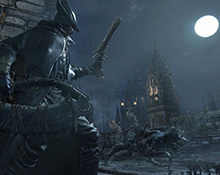 Bloodborne also features both competitive and cooperative online elements with asynchronous multiplayer, to further enrich the nightmarish world that the team has built. If that sounds a little too grueling for your tastes, unwind and power-up with Borderlands: The Handsome Collection, out this week on PS4. Or continue our Spring Fever tradition and pick up Metal Slug 3 on PS4, PS3, and PS Vita. The choices! 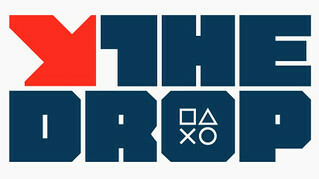 For a full list of games coming to PlayStation, read on. And enjoy the Drop! The year is 2013. The world as we know it has come to an end. Society has completely broken down. The Scourge, an engineered virus released upon the world by terrorists, was intended to send the West back to the Stone Age by turning their citizens into crazed mutated beasts. 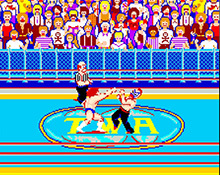 Mat Mania Exciting Hour is a wrestling game that was released from Technos Japan in 1985. Players use a variety of techniques to be the champion. Enjoy the challenge of facing five strong wrestlers! 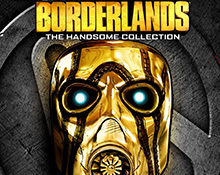 Borderlands: The Handsome Collection includes the definitive versions of both Borderlands 2 and Borderlands: The Pre-Sequel, built specifically for new-gen consoles. Experience the highest performance and highest fidelity graphics for any Borderlands game ever played on a video game console. The GEAR System was developed sometime in the middle of the 21st century, by the Atsuga Corporation, and allowed pilots unprecedented motor-control and maneuverability with their machines. 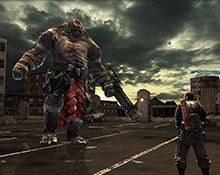 Mankind developed the system further, to create man-operated mechs and robots, known as GEARs. A classic chapter in the iconic fighting game series. Become the strongest champion in the Dead or Alive tournament by defeating the strongest opponents in the world across a variety of stages. There is a new threat in Ninjago, and he goes by the name of Ronin. With help from his army of dark samurai, Ronin steals the Ninjas’ memories using an ancient weapon called the Obsidian Glaive. 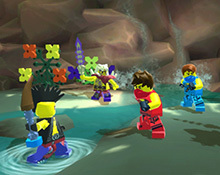 In LEGO Ninjago: Shadow of Ronin, it is up to players to help the Ninjas regain their memories and reclaim their powers before Ronin completes his plan and releases an even greater evil on Ninjago. Metal Slug 3, the masterpiece in SNK’s emblematic 2D run & gun action shooting game series which still continues to fascinate millions of fans worldwide to this day for its intricate dot-pixel graphics and simple and intuitive game controls, lands on PS4! Clear five immense and challenging stages — featuring multiple branching paths, to explore exciting new areas via multiple playthroughs. You’re on your own. No one to come for you. No one to help you. No one to hear you scream. 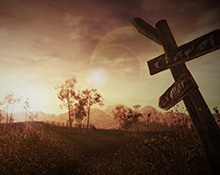 Slender: The Arrival is the official video game adaptation of Slender Man, re-created from Mark Hadley’s original nerve-shattering sensation. The evil Dr. Zox has taken control of the planet Yorbia Prime, destroying the all-powerful Guardians while enslaving the remaining inhabitants. 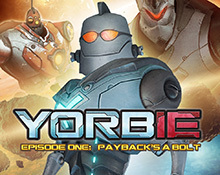 The future of bot-kind now rests on the shoulders of Yorbie, an unlikely hero who was arisen from the remnants of this once great civilization. Borderlands on ps4 can’t wait! Pre order downloading now for Bloodborne! Thanks Ryan, can’t wait! Great week for PS4 and PS Vita. Question: will Metal Slug 3 have trophies? Also, what is 2013: Infected Wars? I don’t remember any previous blog entries on it in the past. We finally get a good PS2 classic. The previous classics have been really meh honestly. 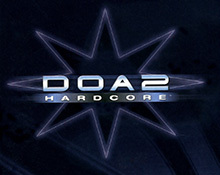 I can’t wait to pick up Dead or Alive 2. Hope there is still a chance for Sonic Heroes to come also since Europe has it on their store. Ugh 2 more days. This is torture. I need bloodborne NOOOOOWWWWWWWWWW!!!!!!! Finally I can’t stop playing destiny. So happy bloodborne is almost here. Thanks Ryan! Don’t thank me, thank From Software and Japan Studio! Lots of awesome mech games coming out this week. 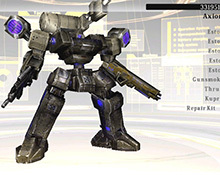 I remember playing Armored Core on the PS1 like it was yesterday. I rented it at least 3 times for a week at a time back then because the game was just so much fun. Also Armored Core 2 etc. Always love me some good old DOA action also. Hope Damascus Gear: Operation Tokyo is cool. 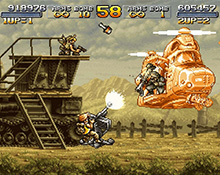 Metal Slug 3 is my favorite among all Metal Slugs! But that will have to wait because of Bloodborne. Great drops so far for 2015. I’m always happy to answer inquiries when/where I can, but unfortunately a lot of information isn’t available to me (especially on a weekend when offices are closed). Is it that difficult to add the PRICES to the DROP post? Yes, I know this is the DROP, the PRICES will be revealed tomorrow, but is it that bad to let us know ahead? Some of us need to plan and ration our gaming budget. Having that bit of information (apart from the standard $59.99 games) helps us get prepared and prioritize. We may also compare the digital price with physical price in stores, or compare the digital price with other region PSN stores, or even with other non-Playstation platforms. If we find that the physical price is better, knowing the price ahead will still give us a small window to go pre-order from game shops (or is that why you don’t want to tell us the prices?). And some of us need to buy physical PSN top up cards ahead of the actual release. Why is it such a problem to show the PRICES? Hi GummyCore. I have definitely seen this feedback in the past, so thank you for posting, but no need to spam the word “PRICES.” I will discuss with the team. I bought just one game on the flash sale, but it’s still a good sale. Gotta do your research, though. Even at <$1. Gotta love the flood of PS1/PS2 Classics lately. Keep it up! This week's offerings aren't for me, but if the releases keep coming there will eventually be some that suit my taste. Nice, thanks for the comment, Thumbs. It is true that Ryan barely ever has any answers, but I like to think of him as a janitor that stumbles upon a list of upcoming games every week in the offices and posts it without anybody knowing, then talks to us like he’s a super secret spy. Sure he doesn’t have prices or all the information we want, but he makes up for it in awesome customer service relations. I even saw his name in Rogue Legacy’s credits. The man is a secret agent I tell you. A question regarding Metal Slug 3: Is this version using the NEOGEO Station format like other Metal Slug and other NEOGEO games did? I really liked the format and the online worked well with it. Can we expect more NEO GEO Station games then? I’d love to see that. Also I’m trilled at seeing Armored Core. I prsume this recent string of Agetec classics means more are coming (I know Shadow Tower got ESRB re-rated). I’m hoping form some King’s field, Evergrace, the criminally underrated Forever Kingdom, and rising Zan. Great week ahead. I just wanted to ask if the sale price of Dead Nation : AE will be fixed ? wow, a game titled 2013 released in 2015.
do i miss something or time’s gone backward? the ps4 needs external hard drive support!!! How do you expect heavy ps4 users to have a good collection of games if the PS4 has a baby hard drive and no usb hard drive support? 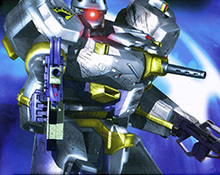 Its great to see armored core coming to the psn.There is still hope for more ps1 classics that haven’t got put on the psn yet. Really looking forward to Bloodborne. I can’t wait. Also, who’s in charge of bringing PS2 classics to PSN because there’s a severe lack of .hack games on PSN. I’ll be getting Bloodborne and The Handsome Collection. Can’t wait for Bloodborne and Borderlands :) Also how can i download my copy of bloodborne, does the PS4 have to be in rest mode? to preload a ps4 game as soon as possible go to the game in your library at 10am pacific on Sunday and it should say download. For real it takes forever for firmware updates to hit ps4. Needs usb hard drive support. I had the Japanese version of it and could never get so far because I never understood anything, not to mention the abominations I would build because of the same lack of understanding. Hey Ryan! It’s @DarkAngelRafael from twitter. A delightful read as usual. I pre-order the digital copy of Bloodborne and watching the countdown is brutal. I WANT TO EXPERIENCE MY NIGHTMARES ALREADY! lol ?? New Arcade Archives, SWEET! Japan has a slew of Arcade Archives games, really hoping we get more arcade goodness stateside. I have a bunch of friends who were excited for the recent Flash Sale, but they were disappointed to learn that they could not play any of those PS Classics on their PS4’s. Ya’ll need to get around to providing PS1 and PS2 compatibility in a firmware update so that all these folks who are getting PS4’s but are new to the Playstation brand can enjoy the great games that they missed back in the day. PS1&PS2 support for PS4 needs to happen. I already have my Bloodborne collector’s on the way. O.O They actually got one of the old DoA games? I’m gonna have to snag that one. Yes!! Bloodborne and Borderlands The Handsome Collection are now downloading! Preload is from the gods! Can’t wait for tomorrow night! Can we get a samurai showdown 2 remaster. One of my favorite games of all time..
Bloodborne Pre load is HA-PPE-NING!!! Woot woot! @5: Hope so, since its going to be 3 way cross buy, but it might share the same list, if possible, but we’ll see. @17: Well, hopefully it uses the NGS interface with all the good stuff in it, but we’ll see once its out. Borderlands! the clock is ticking..yahhoooo! Borderlands, best game this week.